Is there a better alternative to Notes Stationery Pack for Mail? Is Notes Stationery Pack for Mail really the best app in Email category? Will Notes Stationery Pack for Mail work good on macOS 10.13.4? Notes! Stationery Pack for Mail... You just have few things to say ? 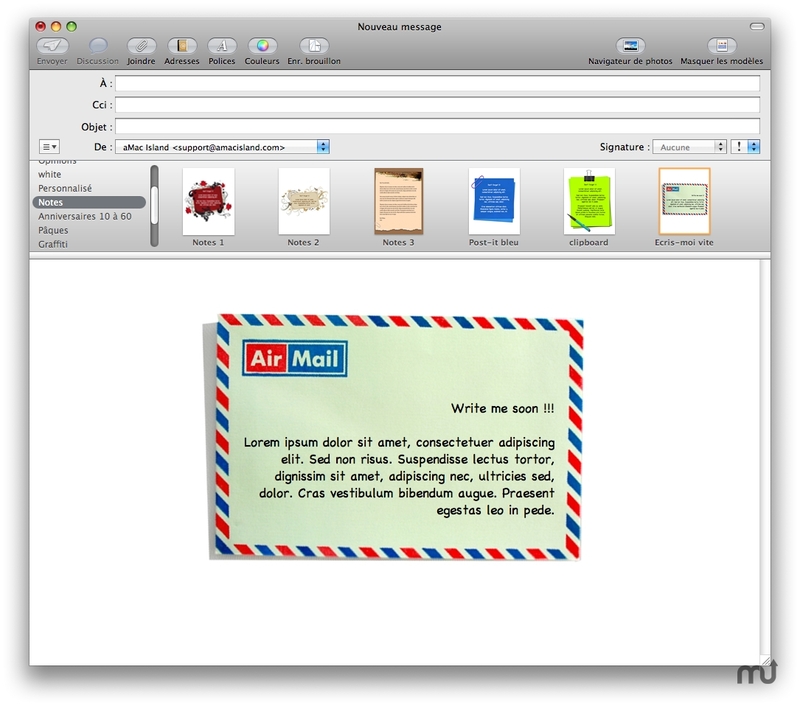 Just use the Note Sationery Pack for Mail and send fun emails to your friends with your Apple Mail software. Find many other stationery themes here. Notes Stationery Pack for Mail needs a rating. Be the first to rate this app and get the discussion started!